Eye Q Stylist Opticians is a modern chic optical boutique with a personal approach to eye care for the entire family. Located in the Limegrove Lifestyle Centre in the middle of Holetown, Eye Q offers a new concept to optical retail which embraces personal style and encourages uniqueness. Your glasses are more than functional they are your number one fashion accessory. 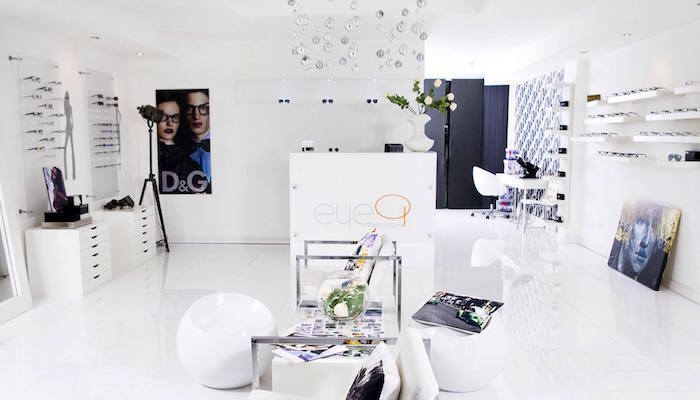 Eye Q offers avant garde optical frames and niche sunglass brands and provide an on site professional eye style consultation by their UK trained optometrist. Their aim is to offer clients a unique retail experience in a very chic modern optical store with the latest technology for eye testing and contact lens fitting. Children are tested for free. Their product line includes styles by Theo, Tom Ford, Oliver Peoples, Porsche, Persol, Ray Ban, Gucci, as well as contact lenses by Acuvue Dailies, Oasys, Freshlook and Colorblends.